This Hydrate hair system returns moisture for dry, damaged hair. Color-treated hair often is more vulnerable to the sun, blow-dryers, styling tools, and other chemical process than virgin hair. If you are not careful, you can lose that luster and turn that beautiful hair into straw. However, Pureology has the perfect solution to return the moisture and brilliance to your abused hair with products from their beauty award nominated Hydrate hair line. I was sent their Hydrate Shampoo, Conditioner and HydraCure Intense Moisture Hair Masque to test for this review. My color treated hair felt more brittle to touch after I spent a weekend outdoors in the sun at the flea market. I did a stupid thing and forgot to wear a hat. Fortunately, the Pureology Hydrate Shampoo and Conditioner helped soften and care for my hard hair without any sulfates while treating me to some aromatheraphy even before I experimented with the Hydrate HydraCure! With such dramatic improvement, it is easy to understand why Hydrate hair products are nominated as best shampoo and conditioner (the light version) in their class for the 7th Natural Health Beauty Awards 2011 with their organic botanicals, multiweight protein complex, and advanced hydrating micro-emulsion technology. Later I tried the Hydrate HydraCure Intense Moisture Hair Masque to see what other amazing feat Pureology could do to top the Hydrate Shampoo and Conditioner. Let me tell you that my hair never looked or felt more healthy or beautiful than after using this luxurious rich blend of shea, jojoba, mango, and avocado butters. 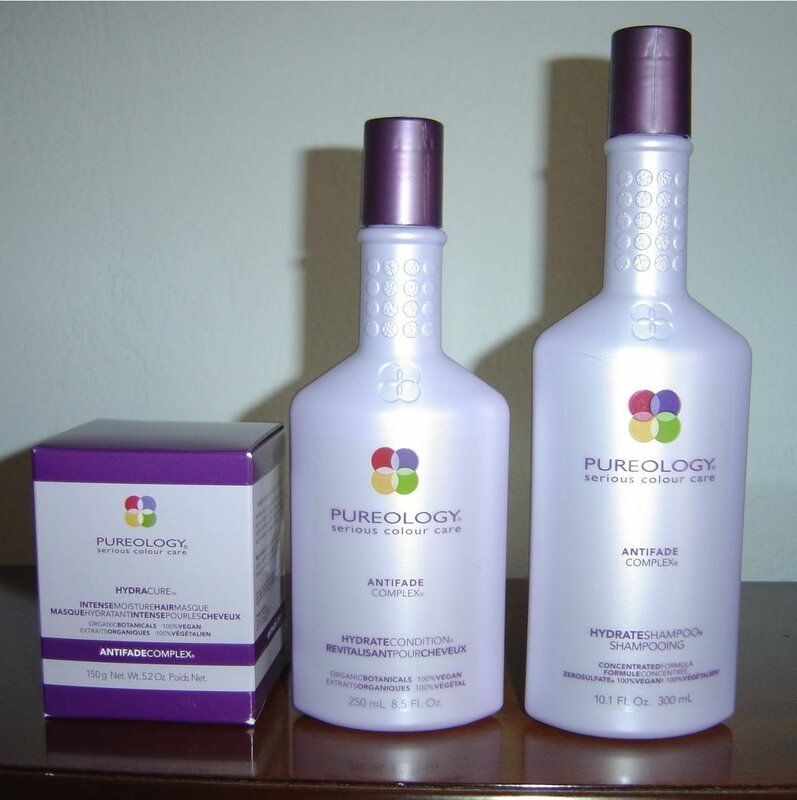 Their Hydrate hair line has to be my favorite Pureology group of products that I tested so far. If you want pretty, soft hair again, then you need to try this line on your own hair. Honestly, you will love what these products can do for you. Vote for Pureology in the 7th Natural Health Beauty Awards 2011 and also be entered to win $350 worth of the top 24 best products of the year! Previous Post Need a Cheap Homemade Callus Remover? I would love to try the glossing mist! I want to try the entire hydrate line. My hair needs it!!! my hairdresser uses this but I can not afford it! I think the super smooth system would be good to try. My hair is damaged from highlights. I'd like to try the Hydrate Hydrawhip!